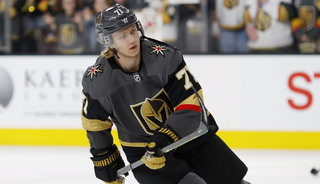 The defenseman is one of only two players to record a point while making their NHL debut for the Knights. 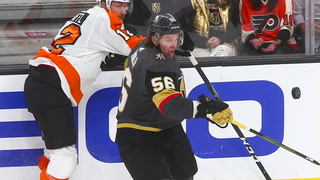 Jimmy Schuldt joined some exclusive company with his assist on Valentin Zykov’s second-period goal Saturday against the Los Angeles Kings. 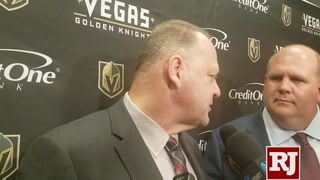 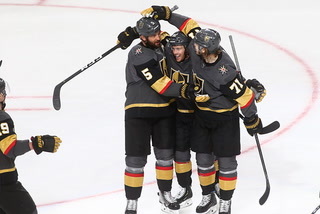 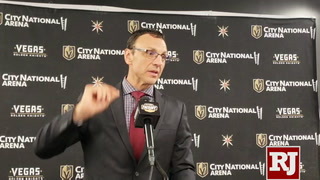 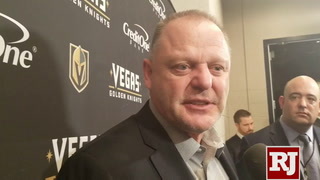 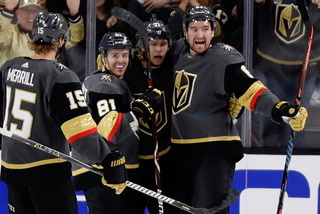 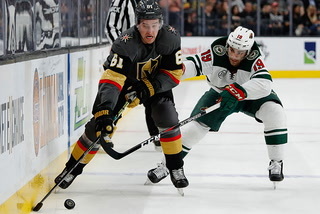 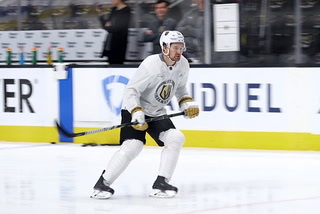 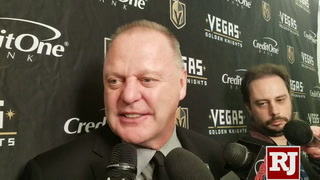 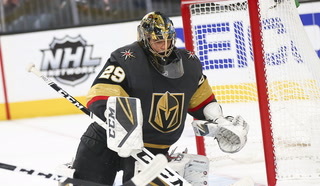 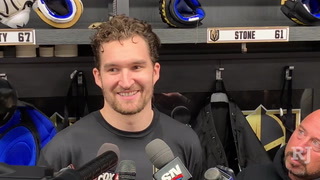 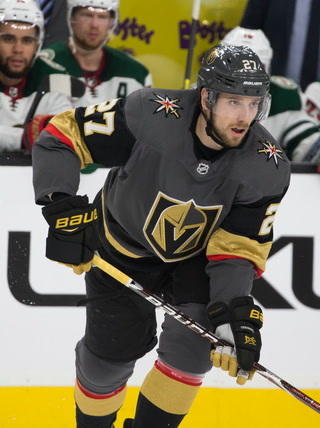 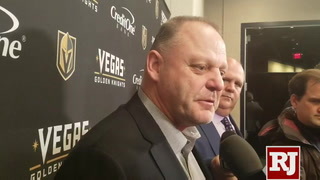 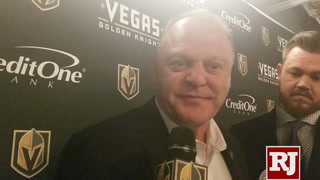 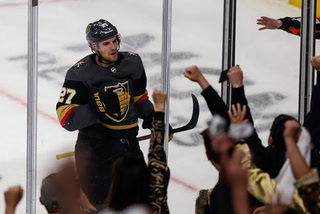 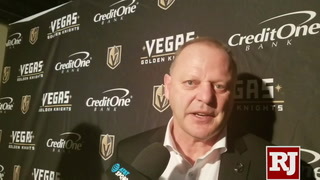 The defenseman became the second player in Golden Knights history to record a point while making their NHL debut for the team, joining released free agent Vadim Shipachyov. 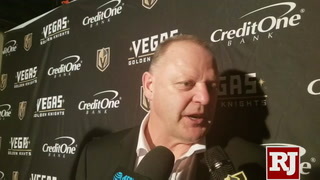 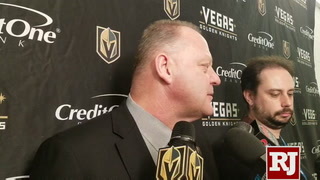 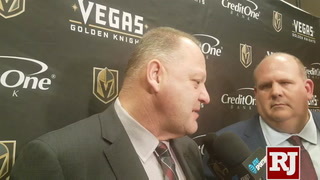 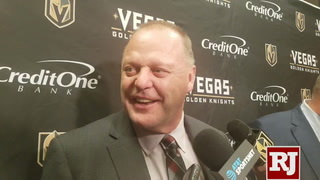 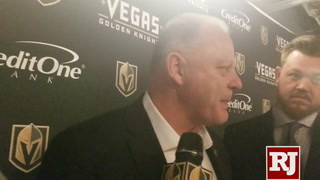 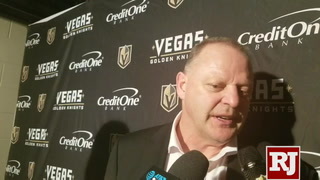 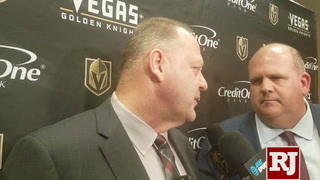 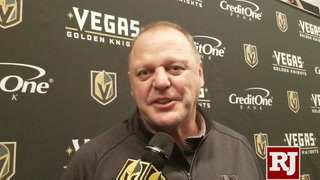 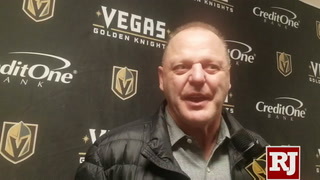 Schuldt was the seventh player and fourth skater to play their first game with the Knights and he came away believing he could have many more to come. 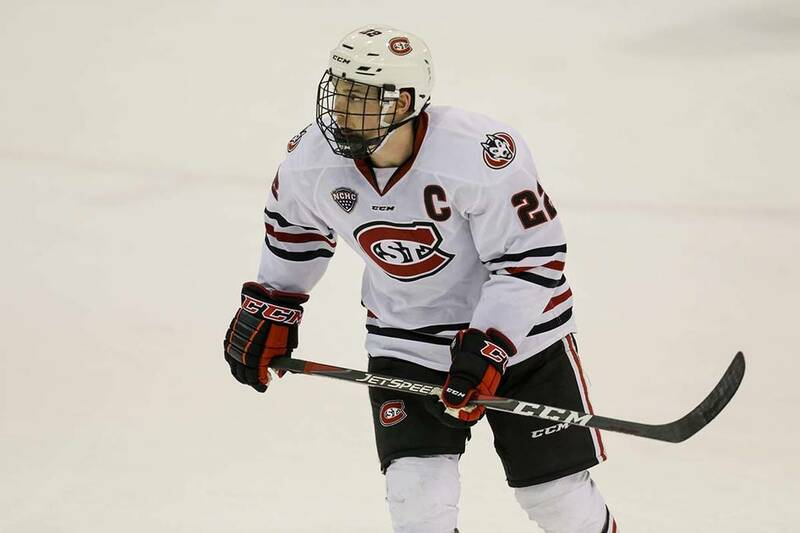 Schuldt, 23, logged a team-high 21:03 of ice time in his pro debut. 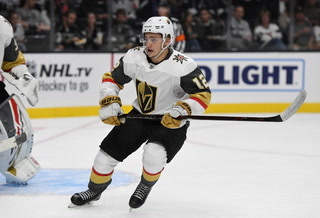 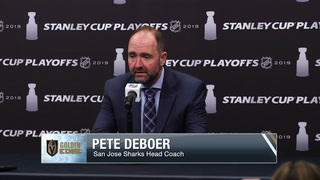 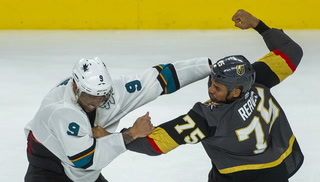 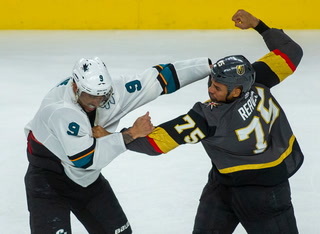 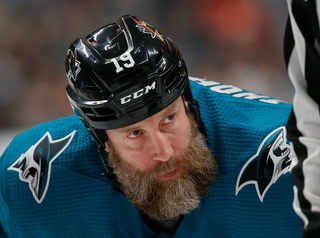 He started the game and was placed on the left side of the team’s top pair with veteran Deryk Engelland. 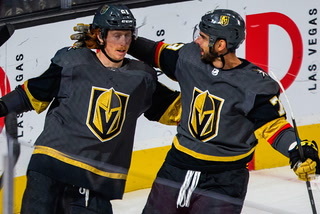 The pairing was by design as Engelland offered Schuldt tips throughout the action. 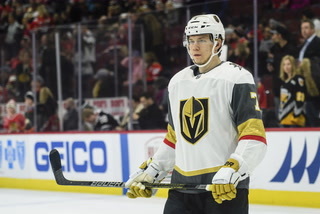 Schuldt also was thrown onto the Knights’ power play in his one and only NHL game this season (he’s ineligible for the playoffs). 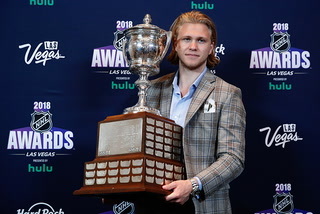 The Hobey Baker Award finalist as the best college player signed with the Knights on Wednesday as a college free agent and handled his assignments well. 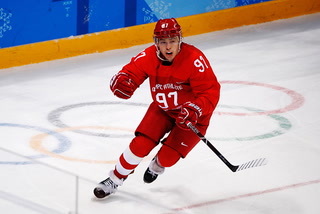 He was on the ice for two goals for and three against, including Kings forward Ilya Kovalchuk’s empty-net goal with 55 seconds remaining. 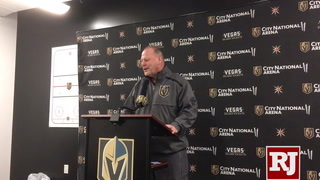 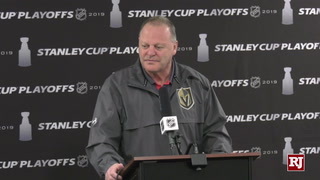 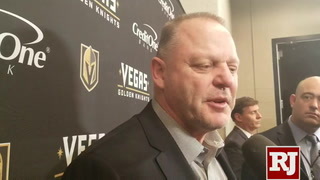 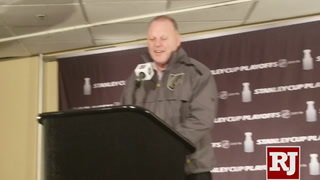 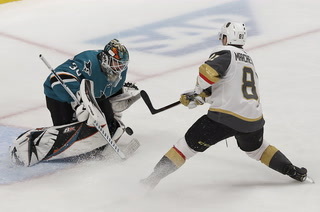 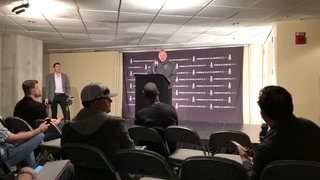 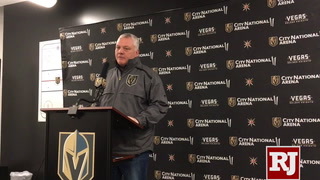 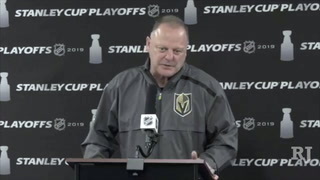 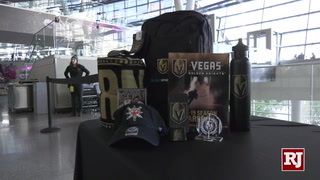 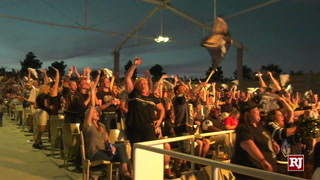 The Knights will hold a watch party at the Downtown Las Vegas Events Center for Game 1 of their playoff series against the San Jose Sharks on Wednesday. 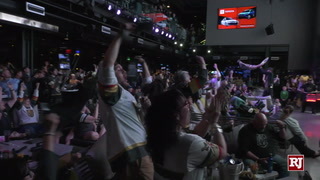 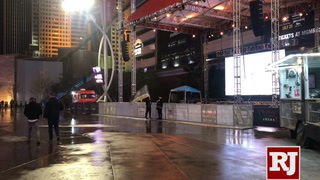 The team will hold another one for Game 2 on Friday at Topgolf at MGM Grand. 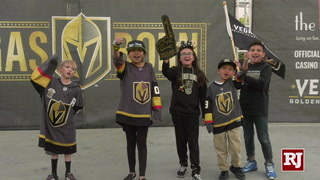 Admission is free to the first-come, first-serve areas at both events. 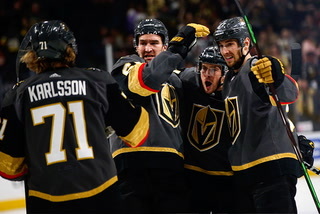 The Knights finished the 2018-19 regular-season with the 13th-most goals in the league and 10th-fewest allowed. 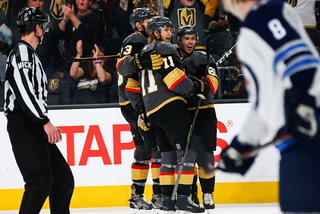 They’ve scored the 11th-most goals among playoff teams and allowed the ninth fewest. 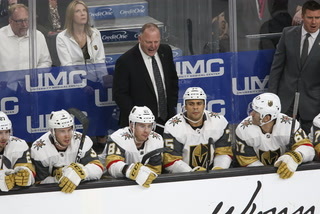 They were ranked fifth in offense and eighth in defense heading into last year’s postseason.